Sometimes we want to add a TV at home as often to take turns with other family members. However, funds are not sufficient we prepare to buy a new Television and that there is only rarely used the old school computer. Well, that was not dizzy, why do not we just change the computer monitor into a TV? For steps, I present the following, the way to change your computer monitor into a TV. First of all, my friend had to buy an external TV tuner on the nearest computer store. If the tube-type monitor pal, TV tuner for this type of reasonably priced, around 10 to 20 U.S. dollars, depending on the brand and series. However if the buddy type LCD monitor, TV tuners prices will be relatively more expensive, above 20 U.S. dollars. Second, choose a suitable antenna location mate. 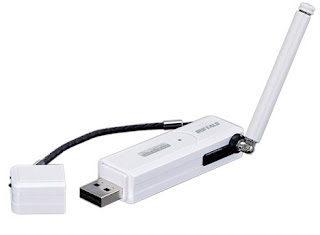 If possible, attach the antenna alone in the house or room by purchasing booster and an internal antenna. Generally, the location near the transmitter, the reception will be pretty clear picture. But if you want good image quality results, use an outdoor antenna with all trinkets. Third, attach the antenna and the TV tuner has been my friend bought a manual fit. This book should not be bought because my friend has no TV tuner in a package that my friend had, plus the remote control. Simply plug the appropriate cables with plugs and follow the steps in the manual, the monitor will be turned into a TV buddy. Has a TV tuner will not only help my friend has a new TV. With the TV tuner, pal can still turn on the computer at any time and watch TV with the monitor in turn. In addition to efficient places, the cost is much cheaper than if my friend had to buy a new TV. A few reviews from me, about how to convert a computer monitor into a TV and hopefully useful. 0 Comment for "Changing Computer Monitor into a TV (Television)"